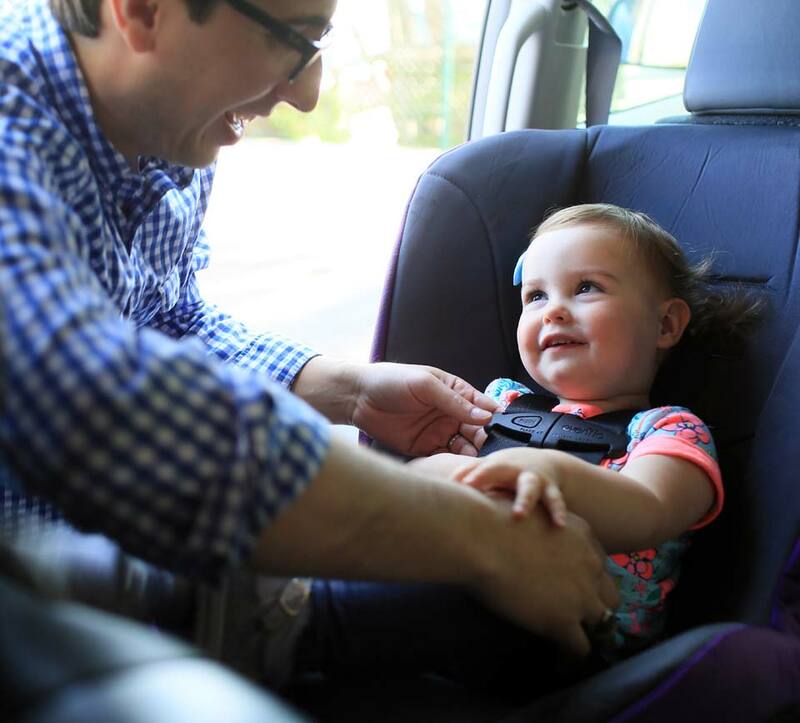 Car seats give the best protection when they, and your child, are placed and secured correctly. Place your baby with their hips and back against the back of the seat. Position the shoulder straps so they are at or below shoulder level. Tighten the shoulder straps so they are snug with no slack. You shouldn’t be able to pinch excess harness webbing together. This is called The Pinch Test. Place the harness clip so it is in the middle of your child’s chest, at armpit level. Have thick layers of clothing under the harness. Place any padding or cushions behind your child unless it comes with the car seat. Place blankets beneath or wrap blankets around your baby. You may place a blanket over your baby once the harnesses are fastened. Dressing your child in a heavy jacket/snowsuit, adding additional padding behind their back, or wrapping a blanket around them increases the space between your child’s back and the car seat and gives a false indication that the harness is tightened sufficiently, when in reality, it is not. Position the shoulder straps so they are at or above shoulder level. Keep the lap belt snug and positioned low enough to fit over the top of your child’s thighs. Check that the shoulder belt stays on your child’s shoulder and lies flat across the chest. Put the shoulder belt under your child’s arm or behind their back. This could cause serious injury. Making sure your car seat is installed correctly can make all the difference in a crash. Let us help you install your car seat so you can go safely every day.